Dow futures were up 44 points this morning as traders digest yesterday's release of the minutes from the September FOMC meeting and prepare for two speeches by members of the U.S. Federal Reserve. During speeches by Atlanta Federal Reserve Bank President Dennis Lockhart and Chicago Federal Reserve Bank President Charles Evans, investors will be searching for additional clues on when the Federal Reserve may take action and tighten monetary policy. 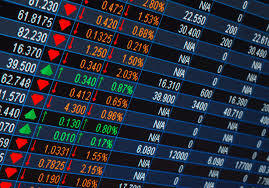 On Thursday, the Dow added 139 points after the Federal Reserve released its September minutes. According to text of the meeting, the bank was close to raising rates, but members of the committee were more concerned about finding new evidence that concerns about the global economy would not knock the United States off track. The markets don't expect the Fed to tighten monetary policy until March 2016. Oil prices are on track for their biggest weekly gain since 2009 (12%), with Brent crude up 90 cents at $53.95 a barrel. September FOMC minutes revealed there is no hurry to raise interest rates this year. 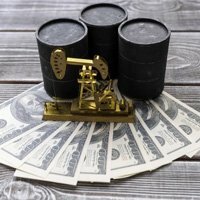 Additionally forecaster PIRA Energy Group issued a bullish price prediction yesterday, forecasting $70 a barrel by the end of 2016, and $75 in 2017. This afternoon, keep an eye out when Baker-Hughes Inc. (NYSE: BHI) releases its weekly oil rig count. The announcement will provide greater insight into the impact of lower oil prices on domestic production. Today, investors will be chattering about what to expect from the October FOMC meeting. In focus are two speeches by members of the Fed and what recent upturns in the Chinese equity markets might mean for investors. On the international front, today is an important day for the United States' largest export market, Canada, which will announce its September full employment report. With Canada mired in a recession, the Fed has been eyeing the nation's labor market, which has been affected by falling oil prices. On Thursday, Democratic presidential front-runner Hillary Clinton announced a progressive plan to boost the Dodd-Frank Act and tax high-frequency trading. However, Clinton has very close ties to Wall Street, and it's becoming more and more clear that this plan is just a sham. Here's why. Pre-Market Movers No. 1, AA: Shares of Alcoa Inc. (NYSE: AA) were down more than 3.7% after the bell on Thursday as the aluminum production giant missed earnings expectations. The company reported earnings per share of $0.14 on revenue of $5.67 billion. That's short of Wall Street expectations of $0.16 per share on top of $5.725 billion in quarterly revenue. Pre-Market Movers No. 2, RT: Shares of Ruby Tuesday Inc. (NYSE: RT) slipped 7.18% in early hours after the restaurant operator reported weaker per-share earnings but still beat Wall Street revenue estimates after the bell on Thursday. Ruby Tuesday reported an EPS loss of $0.04 on top of $282.45 million in revenue. Wall Street anticipated a per-share loss of $0.03 on top of $281.67 million in revenue. Stocks to Watch No. 1, ETSY: Shares of Etsy Inc. (Nasdaq: ETSY) were slumping on Thursday after Amazon.com Inc. (Nasdaq: AMZN) announced plans to launch its own marketplace dedicated to homemade goods. The service, called Amazon Homemade, could offer craft-makers a broader market to sell products and help court some users who are frustrated with Etsy's recent plans to sell manufactured products. Products will also be available through Amazon Prime, providing a strategic logistical advantage over the smaller competitor. Stocks to Watch No. 2, SHAK: Restaurant operator Shake Shack Inc. (NYSE: SHAK) saw prices fall more than 6.5% on Thursday — and 4.5% pre-market — after pre-IPO investors ditched roughly 26.2 million shares. So, is now the time to take action and buy the stock? Here's insight from our Chief Investment Strategist Keith Fitz-Gerald on why the stock is still way too high. Go here now. Atlanta Federal Reserve Bank President Dennis Lockhart speaks at 9:15 a.m.
Chicago Federal Reserve President Charles Evans speaks at 1:30 p.m.